in any color combination. 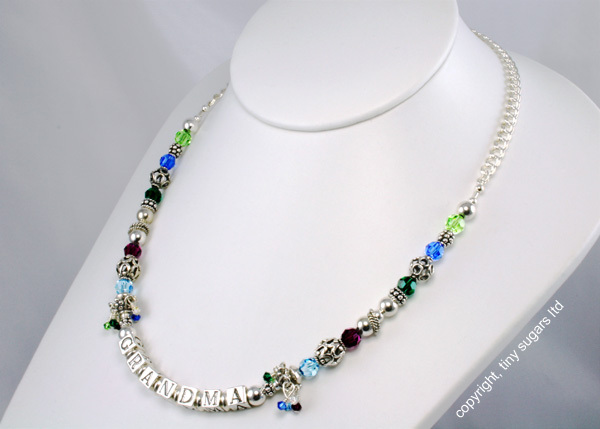 Hand wrapped tiny Swarovski crystals frame the letters beautifully on the Confetti mother's necklace. recognize your special loved one.